What motivated these individuals to venture out of the comfort of their homes and travel halfway around the world? A deep love for knowledge, culture and a passion for life. This is the third year that ASU has hosted the five-week Young Southeast Asian Leaders Initiative, commonly known as YSEALI. 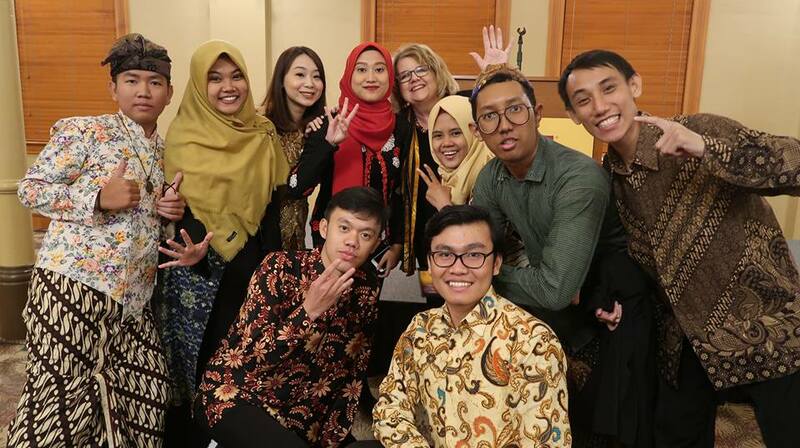 This academic fellowship program, spearheaded by the U.S. Department of State, is a collaboration between nations that provides an open exchange of educational and cultural ideas through academic programming and active learning. The fellows’ curriculum was packed with classroom activities along with community and cultural volunteer events. Instruction was co-led by lecturer David Benson from the Ira A. Fulton Schools of Engineering, who taught social entrepreneurship and economic development, and associate professor Christine Buzinde from ASU’s College of Public Service and Community Solutions, who led the civic engagement classes. One favorite event was a journey to the indigenous Navajo Nation near the Grand Canyon. There, fellows met with Navajo representatives to discuss challenges the Nation faces and how their community works to resolve them. Some of the fellows are now following the Navajo model to document tribal culture in their home countries. Another learning activity included a historical and cultural study tour to Washington, D.C., New York and Boston. At the Cambridge Innovation Center in Boston, fellows learned more about community working spaces and how they facilitate networking opportunities and access to resources to create positive global impact. The program culminated in Washington, D.C., where the fellows presented to the U.S. State Department what they had learned and the projects they had developed in collaboration with ASU students, faculty and each other. The presentation also included an original song written and performed by the group referencing all of the experiences that had transpired during their brief time studying abroad. At the end of the program, the consensus among the fellows was that they had become family ‒ a family of leaders who are now even more energized and equipped with the tools needed to affect change. See more photos from YSEALI 2018 in our album on Flickr.